Nothing beats the old Butte rumor mill. As much as I hate to see a high school or college coach get fired or resign his or her position, such a move always brings out the best (or worst) in the town gossip. And it never fails to entertain. Who will Butte High hire as their next boys’ basketball coach? Everyone wants to know now, and everyone seems to have an inside scoop. Suspending reality is never a problem when offering insight. That leads to the following rumor that I was told last week: Mickey Tuttle has applied to be the next Butte High basketball coach. This is such a shocking development. If you don’t know who Mickey Tuttle is, well, shame on you. Even though he has not lived in town for decades, Tuttle is a Butte legend. 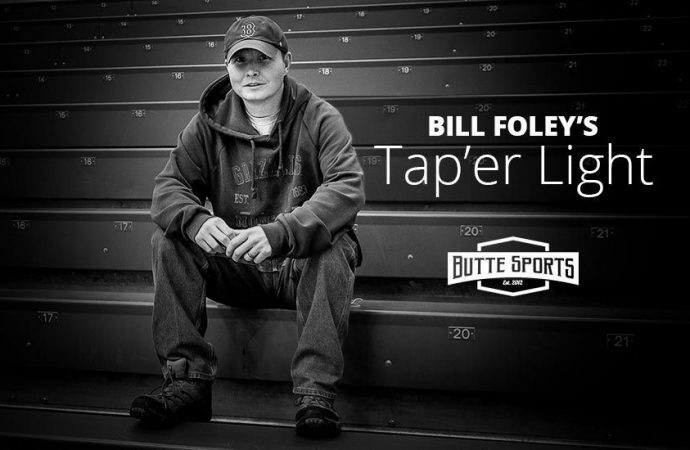 Tuttle was the star player on the 1984 Class AA state champion Butte High boys’ basketball team. 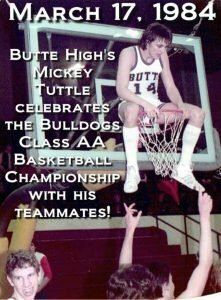 After the Bulldogs won the title in Missoula on St. Patrick’s Day, Tuttle climbed up and sat on the rim to celebrate. The whole amazing scene unfolded live on television as Butte fans stormed the court inside Dahlberg Arena. 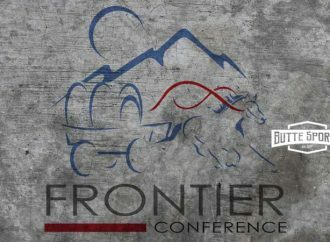 It was an iconic moment, not only in the history of Butte sports, but in the annals of Mining City folklore. It is like Ricky Schroder getting punched out at the Deluxe, Evel Knievel jumping at Wembley Stadium and Rob O’Neill shooting Osama bin Laden all rolled into one. OK, so maybe that is overselling it a little bit. But the moment was awesome. It was such a Butte thing to do. In the super-soft times we live in today, tournament officials lower the hoops and remove the nets for the winning team after the state tournament. Heaven forbid we let those finely-tuned athletes with above-average motor skills take three steps up a ladder with a pair of scissors to do it themselves. That would be dangerous. Remember how big of a deal it was that the Dillon student section overpowered Butte Civic Center security to rush the court when the Beavers won the Class A state boys’ title in 2012? The wussification of the 21st Century would never let a player climb up on the hoop these days. If one tried it, multiple school administrators would drop dead from shock on the spot. But that is exactly what Mickey Tuttle did, and him hanging out on top of the hoop is the lasting image of Butte High’s last state basketball title. Because my parents told me I was going to go to Butte Central at a young age, my favorite players were Tom Kenney, Marc Murphy and John Sullivan, three of the 1984 Class A state champion Maroons. Even though they lost to Tuttle’s Bulldogs in overtime in 1984, I thought Kenney, Murph and Sully walked on water. When I was told their Maroons lost 99-97 to Livingston in the 1985 championship game in Bozeman, I refused to believe it. I would not accept the loss until I saw it documented in the Sunday paper. Sill, without question, Micky Tuttle was the coolest guy in town in those days — even before he sat on the basketball hoop in Missoula. Not only was a clutch basketball player, Tuttle had the looks and the vibe of a movie star. He was a lethal combination of Sean Penn, John Travolta and Teen Wolf. 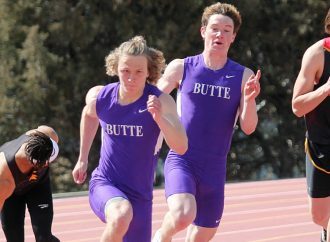 Even though he is in his early 50s today, that is exactly the kind of guy the Butte High program needs. It is what the world needs. Mickey Tuttle needs to be the next coach of the Butte High boys’ basketball team. The problem is, Mickey Tuttle is not coming through that door. At least he is not walking through as the head coach of the Bulldogs, or any other team. He might come to town to watch his grandson play in a few years, but that is it. Unfortunately for the Bulldog faithful, Tuttle is enjoying life in Pennsylvania, where he is not coaching high school basketball. He has no plans to move back to his old stompin’ grounds. 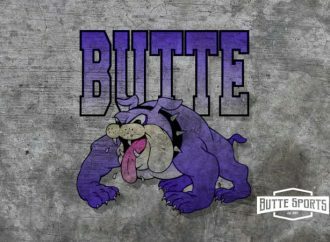 So, how did we end up with a rumor that Tuttle is among the candidates for the eternal hotseat that is head coach of the Butte High boys’ basketball team? I have a theory based on the movie Johnny Dangerously, which coincidentally was released in 1984. Of course, Johnny knew how to translate the grapevine, escaped from prison on his way to the chair and saved the day. 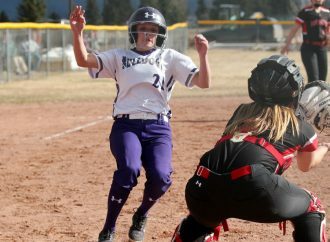 That is probably how a simple conversation about the next coach of the Bulldogs turned into a mega story about a Butte High legend coming home to rescue his old school. Someone probably mentioned Tuttle has grandchildren in town. Five people later, that story turned into Head Coach Mickey Tuttle. When hearing the Tuttle news, I sent a text message to Chuck Merrifield, Butte High’s activities director who went to Butte High at the same title as Tuttle. Can you believe it? The General wants to be the next head coach of the Bulldogs? Sure, Knight is 78, but he could give the boys of Butte a couple of good years. Can you imagine Knight tossing chairs across the Civic Center floor when a call goes against the Bulldogs? We will be on SportsCenter. Oh, wait. I think the AD was being sarcastic. The coach who led the Indiana Hoosiers to an undefeated national championship during the 1975-76 season will not be walking through the door at the Richardson Gym anytime soon, either. Someday soon, though, Butte High will hire a new boys’ basketball coach. If the rumor mill is even 50 percent right, the school board will have a talented group of coaches to choose from. Some candidates will have Class AA experience, while others have led teams to the state tournaments. So, the Bulldogs should be in good hands. None of the candidates, however, have “hoop sitting” on their résumé, and that is too bad. It really should be a prerequisite.